It seems cruel of me to torture myself by making this blog post while I’m positively ravenous. As the evening is going to consist of a veritable feast of all foods completely bad for me I’ve been trying not to eat anything all day and now that it has come up to the last hours of it I am so hungry I could cry. In fact all I want to do instead is sleep so I don’t have to remain hungry. I’m already dreaming of eating. 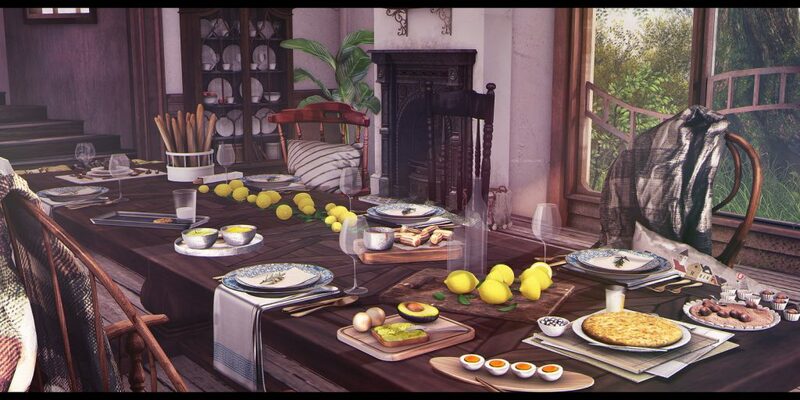 As I go through the table and list every delicious item presented upon this banqueting table by Schadenfreude even the lemons seem like something I could find a lot of pleasure in having right now. Squeezed into a tall glass of water and ice. Perfect. While I’m imagining this lovely mental simulation here comes the list of items below.